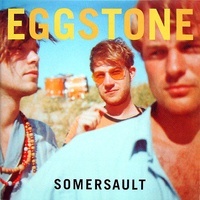 My roommate and I were playing music for each other and he pulled out the cd for this 90s Swedish band Eggstone. They seemed pretty solid and we kept listening and then I heard the song I’m posting here. Just a pretty fun song about water. I’m also including this lounge-y one from the album too, ’cause I liked it. the great thing about swedish chest hair is that it’s just so well organized and the technical execution is spot on.